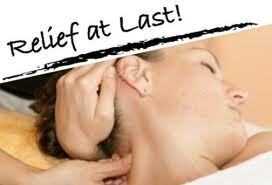 The term "deep tissue" is often misused to identify a massage that is performed with sustained deep pressure. Deep tissue massage is a separate category of massage therapy, used to treat particular muscular-skeletal disorders and complaints that employs a dedicated set of techniques and strokes to achieve a measure of relief from muscular pain. It should not be confused with "deep pressure" relaxation massage, which is one that is performed with sustained stronger pressure throughout an entire-body session, and that is not performed to address a specific complaint. Deep tissue massage is applied to both the superficial and deep layers of muscles, fascia, and other structures. The sessions are often quite intense as a result of the deliberate, focused work and is always done within the clients pain tolerance. If a practitioner was to employ true deep tissue techniques on the entire body in one session, it would be next to impossible to perform; it might lead to injury or localized muscle and nerve trauma, thereby rendering the session counterproductive. To avoid injury to your muscles it is very important that your massage therapist understands the difference between "deep tissue" and "deep pressure" massage. At ProMedMa we have extensive training and experience in deep tissue treatments and techniques which gives our clients the pain relief they are looking for.